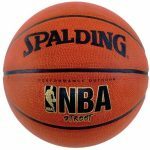 I would like to start with a little information about me and how this best basketballs guide was born. 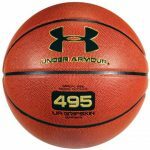 I love playing basketball and I ran in to situation that I was selected by folks to get a new ball for us, so I started looking for information which one is the best from all the basketballs available on the market today. Most of the time we play indoor due to weather conditions in our region. I and my buddies where ready to pay some extra bucks for quality but of course as I did a research I tried to find the best ball that would be the greatest value for money. During my search for the solution I came to conclusion that there is no place online where all information about balls would be in one place. That is how the idea to create a guide for those who are looking for the best ball for the basketball game. I hope this information will help you to make a decision which ball you want to buy that will bring much more entertainment to the game with your friends. 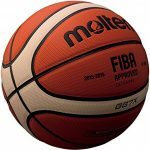 In many cases new ball is a great gift for people who love this game so my best basketball balls guide is here to help everyone to get the best value for money. Before heading to the court, you have to make sure that your basketball is ideal for your game. 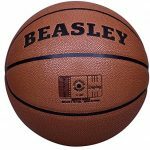 I’m going to write about features to consider when choosing your basketball. Size. There are 3 common sizes for competitive play. Which size of ball you choose is going to be dependent on your age and gender. Most men’s leagues use size 7 ball which has circumference of 29.5 inches. Women and many youth leagues use intermediate size 6 balls which are a little bit smaller – 28.5 inches in circumference. Size 5 ball is typically for children under 9 years old which has 27.5 inches in circumference. Material – leather basketballs are soft and supple and offer a boost in control even when your palms are sweaty leather balls are made to maintain a high-level grip and because of this they’re going to have a higher price point. Keep leather basketballs indoors to avoid wearing down their finish. They are also going to require a little bit of break in before use. Synthetic balls don’t need to be broken in before use. These are highly durable and can be used both indoors and outdoors, but they do not provide the same soft feel and spin off the backboard that a leather ball provides. Rubber basketballs are generally best used on outdoor courts and are designed for beginners and recreational play. They can offer extra durability and bounce, and often come in in a lower price point. Lastly, let’s take a moment to consider a color. Color – most basketballs have that classic burnt orange hue that most leagues require. Other multi-color options are available and they are about style rather than function. If you are looking for a ball for competitive play be sure to check with your team for more guidelines. Training balls. If you are trying to train a specific skill on your own, you may benefit from a training basketball. These often have special traits like markers for hand placement designed to help develop your shooting technique. Some are weighted to help build strength and ball handling skills. There are even basketballs that have smart technologies. Syncing with your phone and tracking your progress. Now that you have right basketball for your game, you will be ready to dominate the court. Available sizes: 5, 6, 7. 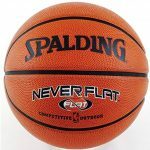 Molten – these basketballs are getting technology from Japan as Molten is famous sporting goods brand in the world and origns are in Japan, this brand is also popular among millions of players and fans in the world and approved by FIBA as official game ball in all competitions organized by them. 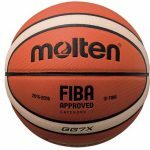 A lot of national basketball federations has a contract with Molten as a supplier of professional game balls, you can notice that especially in European countries. 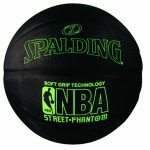 However, in the USA, most popular brands are Spalding and Wilson. These facts are screaming about the quality of Molten. 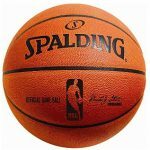 Wide selection of different type basketballs makes them a great choice for every taste and game style. 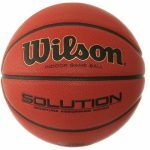 Wilson – well recognized brand in the world producing wide range of different type basketballs. Wilson is official ball of NCAA and most FIBA organized 3×3 competitions. 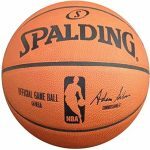 Basketballs produced by them are for wide consumer market and are made from all kinds of materials from genuine leather used by professionals to rubber for cheap basketballs for the kids. Best is Wilson Evolution series which is used among professionals all over the world. 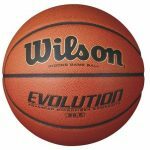 Wilson is FIBA approved and they are about to become official ball in the near future. Nike – you should already know this brand for sporting goods they are manufacturing, loud contracts with first class basketball players and speaking about balls – Nike is the major supplier for professional competitions and there is a plenty of great choices of balls for professionals and amateurs. Couple years ago Nike was official game ball of Euroleague and Eurocup, today Euroleagues official ball is Spalding again, this just proves that quality of their goods is outstanding. Countless number of positive reviews speaks loud. 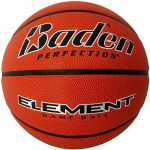 Baden – known brand for their Cushion Control Technology and for developing the first womens sized basketball. Baden is among leaders in every sport they are touching with their goods and are recognized as one of the fastest growing ball manufacturer in the world. Many people who play basketball prefer their balls for quality and excellent performance. 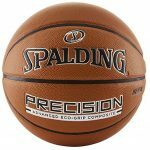 Size 7 29.5” – this is the most common and official ball size for College, NBA and other professional basketball leagues and international tournaments including Olympics. Boys from 15 years old start using this ball for game. Size 6 28.5” – this size is official for women’s professional basketball including high school, college and other leagues around the world. This ball is also used by boys aged 12-15 and girls of 12 and up. This size is also official 3×3 game ball in FIBA supported games and other professional events. Size 5 27.5” – standard ball for youth game, used by boys and girls from age 12 and up. Size 4 25.5” – ball for children aged from 5-8 years old. Size 3 22” – small ball also known as “mini” basketball used by both – boys and girls in 4-8 age range. Of course as size is different so is weight and it makes big difference when dribbling, passing and shooting the ball. Kids should not play with men size ball because by doing that they will develop bad habits of shooting as they can’t make a shoot properly because of weight, they compensate it by using their body more like shoulders and even using both hands in full, this is doing more harm than good. So all boys and girls should use the proper ball size by their age. 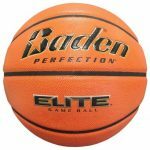 Genuine leather – this material is pricey but balls covered with genuine leather last longer and of course feels much better, but basketballs needs to be broken in before you get to feel full pleasure of the game using such balls. They are for indoor games ONLY. Brand new they look cheap but after a few games the ball is getting better and better. Synthetic leather/Composite – an artificial material that is just like natural leather, I mean it feels like it but is cheaper to produce and the main benefit of basketballs covered with synthetic leather is that they can be used indoors and outdoors if mixed with with proper materials that can take harder surfaces, another great plus is that these doesn’t need to be broken in and even brand new balls have a soft feeling of touching it and a good grip. Rubber – this material is cheap and so are balls covered with rubber. 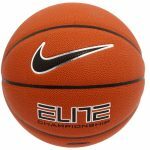 Most people buy rubber covered basketballs for their kids to play outdoor as they are very cheap comparing to other material balls. Professional basketball players use genuine leather balls but there is one nuance with them, they need to be broken in before you can feel the benefits of such basketball. Also they are way more expensive than composite ones. Before professional matches in the world they go through 90-day break in process where they are passed and bounced for hours to reach the condition of best grip and characteristics. The leather eventually is broken in and during this period the ball becomes softer and ready for big match. Major brands who manufacture them are Spalding, Molten and Baden. So don’t expect them to be nice at the beginning and know that they need to be broken in, however if you want to use them right away you should go with composite leather pick. 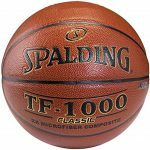 Best basketballs should come pre-inflated and should never have been deflated again as this could lead to creasing the surface and cause damage to the ball.